Hospitality is a Hawaiian staple. We are known for our welcoming homes, bustling businesses, and tourist destinations that draw visitors from around the world. Don’t forget to create an inviting space in your own home with high-quality artificial grass landscaping from Southwest Greens Hawaii! Our team will come to you for a completely free consultation to help kick off your landscaping project. We’ll discuss details like the primary purpose of your space, how much foot traffic it receives, and how you want the finished area to look. The consultation process is quick, easy and creates a clear path toward the backyard of your dreams. Our putting greens offer professional-quality short game practice you can take straight to the golf course. Enjoy realistic ball roll and a variety of customizable putting green designs that can be tailored for your space by a trained Southwest Greens installation expert. Master your golf game and get lower scores with at-home putting greens you can access day or night. Don’t settle for sub-par protection when it comes to your family. Our playground surfaces are IPEMA-certified and come with superior shock absorption. Our infill is nontoxic and even comes with Microban® antimicrobial protection. We are committed to protecting your family with high-quality playground surfaces. Your kids are safe to run and play on our turf! Our pet grass eliminates the mud and dirt that usually come inside with pets after playtime. Your pets can enjoy a dedicated play area that is always clean and ready for use, even after rainfall. Our pet turf comes with superior drainage rates and is naturally pest-resistant to help keep ticks and fleas at bay. Protect your pets with Southwest Greens on your side! 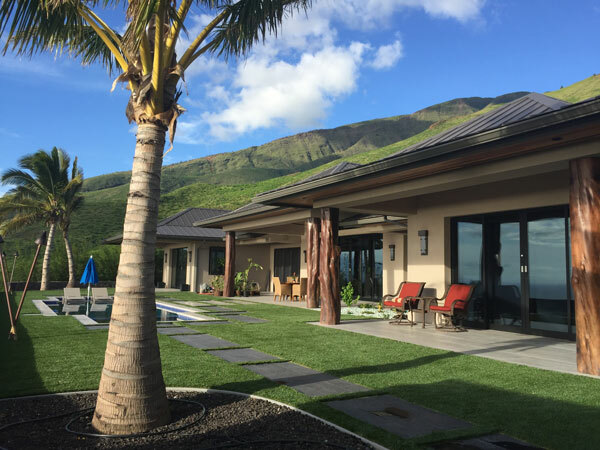 From Honolulu to Kauai, Kailua-Kona and beyond, Southwest Greens Hawaii is your destination for beautiful artificial grass. Take charge of your landscaping and reclaim your weekends with low-maintenance grass that helps boost your curb appeal. Contact us today to learn more about artificial grass or request a free design consultation.